Copyright covers not just text (books), but also photographs, designs, drawings, sculpture, film, musical scores, choreography, computer software, architecture, and much more. As soon as a work is created, it is automatically protected by copyright. The presence of a copyright notice (©) is not a requirement. 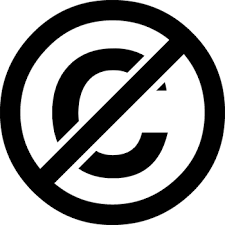 Under U.S. copyright laws, only the copyright holder has the authority to reproduce (copy, download, or scan) or distribute (forward or share) the work. Any other person who wishes to reproduce or distribute the work must seek written permission from the copyright holder. Works that are under copyright and have no Creative Commons license are typically not appropriate for inclusion in an online student project. Copyright does expire (expiration times vary). Items in the public domain are often older, historical materials that were once covered by a copyright. Works created by the government are automatically placed in the public domain. An author (copyright holder) may elect to place the work into the public domain. Where Can I Find the Copyright? It is often difficult to locate a copyright or creative commons license notice, especially when searching for digital media. Look carefully around the edges of the item. Remember, if you cannot find any information about the copyright status, you must assume that the work is protected under copyright laws, with all rights reserved. 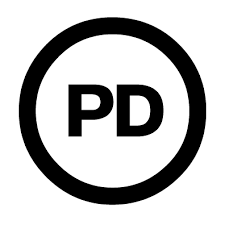 Creative Commons is a nonprofit organization that has created several unique licenses that allow authors (copyright holders) to grant certain permissions to the public. These licenses are legally biding and indicate to the public exactly how the work can be used. 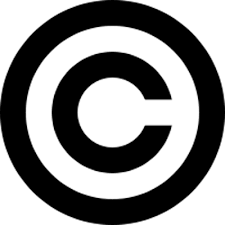 If a work is displayed with a Creative Commons license, you are able to use it legally in ways that a traditional U.S. copyright license (©) would not allow. CC-BY (Attribution) You may distribute, remix, tweak, and build upon the work, even commercially, as long as you credit the original creator. CC-BY-SA (Attribution-ShareAlike) You may remix, tweak, and build upon the work, even for commercial purposes, as long as you credit the original creator and license your new creation under an identical license. CC-BY-ND (Attribution-NoDerivs) You may redistribute, commercially or non-commercially, as long as the work is passed along unchanged and in whole, with credit to the original creator. You cannot change the work in any way. CC-BY-NC (Attribution-NonCommercial) You may remix, tweak, and build upon the work, as long as you credit the original creator and use the creation for non-commercial purposes. CC-BY-NC-SA (Attribution-NonCommercial-ShareAlike) You may remix, tweak, and build upon the work non-commercially, as long as you credit the original creator and license your new creation under an identical license. CC-BY-NC-ND (Attribution-NonCommercial-NoDerivs) You may share the work with others, but you cannot change it in any way or use it commercially. You must credit the original creator.